The following discussion contrasts Mattogno’s fantasies about a Nazi resettlement decision with the real historiography of the decision-making process. It shows how, in order to promote his thesis, Mattogno has to suppress evidence whilst distorting the meaning of documents that actually prove extermination. Moreover, the Jews will remain in German hands as a pledge for the future good behaviour of the members of their race in America. Mattogno and Graf get themselves into this muddle because of their insistence upon clear policy breaks that allow no overlaps, and because they wish to pretend that Madagascar and ‘resettlement to the East’ were both benign plans rather than genocidal ones. ...I hope that the concept of Jews will be completely extinguished through the possibility of large-scale emigration of all Jews to Africa or some other colony. It must also be possible, in a somewhat longer period of time, to let the national concept of Ukrainians, Gorals and Lemcos disappear in our territory. Whatever is said concerning these splinter peoples applies on a correspondingly larger scale to the Poles. Himmler was thus proposing, at the very least, a short-term extermination of Jewishness as a cultural identity through emigration to Madagascar. How else would this have been achieved apart from decimation? Mattogno clings to the latter sentence about how “we reject the Bolshevist method of physical destruction of a people as un-Germanic and impossible” but this assumes that Himmler included Jews in his definition of “a people”, which is clearly very unlikely; both Wetzel and Himmler stressed that Jews were to be treated differently from the other eastern nationalities discussed in these documents. Even in the unlikely event that Himmler was rejecting the physical extermination of Jews in 1940, it would be the snapshot fallacy to cite this to try and neutralise the 1941-44 paper trail. It is possible but unlikely that Himmler rejected the idea of extermination in May 1940, but utterly ludicrous by June-December 1941. By May 31, 1942, 6,000 Communists and Jews had been deported as “reprisals.”  Deportations from France should therefore be understood as having been commenced in lieu of shooting: as an equivalent death sentence. This alone is sufficient to place Zeitschel and Abetz’s correspondence in the timeline of extermination, not (as Mattogno’s title chapter claims) ‘emigration’. Mattogno also discusses Goebbels’ meeting with Heydrich on September 24, 1941, in which the latter stated that Jews deported from Berlin “in the end are all supposed to be transported [...] into the camps built by the Bolsheviks” ; and he cites Hitler’s statement of October 6, 1941, reported by Koeppen, that “Together with the Jews of the Protectorate, all the Jews of Vienna and Berlin must disappear.”  However, he fails to make the obvious connection between these two statements: Heydrich’s “camps built by the Bolsheviks” had become places where the Jews of Berlin would “disappear.” How does disappearance in camps equate to a policy of resettlement? Against this raft of evidence, Mattogno cites only Brack’s Nuremberg testimony on CO cylinders, and states that this applied to the same device as in Wetzel’s draft, but the exchange he cites was referring only to the gassing of mental patients in T4 euthanasia centres so was irrelevant to the proposed gassing of Jews in Riga. Mattogno incorrectly refers to him as ‘Fritz Rademacher’; MGK, Sobibór, p198. Peter Longerich, Holocaust. The Nazi Persecution and Murder of the Jews. Oxford, 2010, p.162, citing Rademacher an Luther, Gedanken ueber die Arbeit und Aufgaben des Ref. D III, PA, Inland II AB 347/3; synopsis Rademacher an Dannecker, 5.8.40, NG-5764. David Irving, Hitler’s War on-line edition, p.136: http://www.fpp.co.uk/books/Hitler/1977/html_chapter/08.html . MGK, Sobibór, pp.196-97 and pp.236-39. Brack an Himmler, 28.3.41, NO-203. 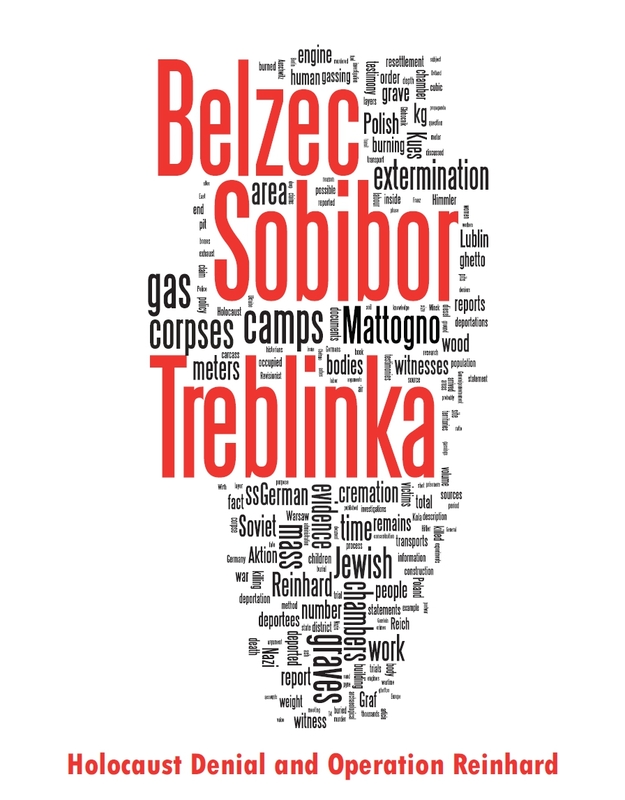 M&G, Treblinka, pp.184-86, citing Zeitschel an Abetz, 22.8.41, 1017-PS. Note that this Mattogno paragraph contains a direct contradiction between “some months later” and “September 1941”: Zeitschel’s proposal was dated 22.8.41, so a September decision would be one month or less afterwards. Zeitschel, 21.8.41, CDJC, V-8, published in Serge Klarsfeld, Vichy - Auschwitz. Die Zusammenarbeit der deutschen und französischen Behörden bei der "Endlösung der Judenfrage" in Frankreich. Nördlingen, 1989, p.367. Note on the Führer's comments to Abetz, 16.9.41, ADAP [Akten zur Deutschen Auswärtigen Politik], Serie D, Bd. 13/2. Goettingen: Vandenhoek & Ruprecht, 1970, pp.424-25. Erlass des Militärbefehlshaber im Frankreich, 10.4.42, RF-1241; for context, see Ulrich Herbert, ‘The German Military Command in Paris and the Deportation of the French Jews’, in Ulrich Herbert (ed), National Socialist Extermination Policies. Contemporary German Perspectives and Controversies. London, 2000, pp.128-62; Christopher Neumaier, ‘The Escalation of German Reprisal Policy in Occupied France, 1941-42’, Journal of Contemporary History, 41/1, January 2006, pp.113-31. Herbert, ‘The German Military Command in Paris’, p.144, citing Das Geiselverfahren im Bereich des Militärbefehlshabers in Frankreich vom Aug. 1941–Mai 1942, p.40ff. BA RW 35/524. TBJG, II/1, p.266 (19.8.41) and p.278 (20.8.41). M&G, Treblinka, pp.185-86; Broszat, ‘Hitler und die Genesis der “Endlosung’, pp.739-75: TBJG II/I, pp.480-81 (24.9.41);; Miroslav Karny, Jaroslava Milotova and Margita Karna (eds), Politik im 'Protektorat Böhmen und Mähren' unter Reinhard Heydrich 1941-1942. Berlin, 1997, p.97, citing Notiz Koeppens, 6.10.41. Minutes of a discussion in Prague on the Solution of the Jewish Question presided over by Heydrich, Prague, 10.10.41, T/294. Karny, Politik im 'Protektorat Böhmen und Mähren' unter Reinhard Heydrich 1941-1942, pp.107-22. Wetzel draft an Lohse, 25.10.41, NO-365. Wetzel draft an Lohse, 25.10.41, NO-996 and NO-997. Browning, Origins, p. 369, citing Wurm an Rademacher, 23.10.41, Political Archives of the German Foreign Office, Inland II A/B 59/3. Deposition by A.Widmann, Head of Abt. V D 2 (Chemistry and Biology) in the KTI, 11.1.1960; StA Duesseldorf, Az. 8 Js7212/59 [ZSL, Az.202 AR-Z 152/59], Bl.46. Patricia Heberer, 'Justice in Austrian Courts?' in Patricia Heberer and Jürgen Matthaeus (eds), Atrocities on Trial: Historical Perspectives on the Politics of Prosecuting War Crimes. Lincoln: University of Nebraska Press, 2008, p.237, citing testimony of Josef W., Strafsache gegen Josef W., Bd. IX, ON 117, p.16; see also on the gassing of mental patients in Mogilev, Andrej Angrick, Besatzungspolitik und Massenmord. Die Einsatzgruppe D in der südlichen Sowjetunion 1941-1943. Hamburg, 2003, p.368ff. EGr B, Tätigkeits- und Lagebericht, 16-28.2.42, p.7, RGVA 500-1-770; cf. Christian Gerlach, ‘Failure of Plans for an SS Extermination Camp im Mogilew’, Holocaust and Genocide Studies 11, 1997, p.77 n.83; Sergey Romanov, ‘>How the convergence of evidence works: the gas van of Auschwitz’, Holocaust Controversies, 6.10.06. Scan of document, p.7: http://farm1.static.flickr.com/111/262271654_67d0a83246_o.jpg . JuNSV, Bd. 23, Nr. 624, p.344 (Urteil LG Frankfurt/Main 4 Ks 1/65 gegen Josef Har., 12.3.66); cf. also JuNSV Bd. XXXIII, Lfd. Nr. 720; JuNSV Bd. XXXII, Lfd Nr. 702. 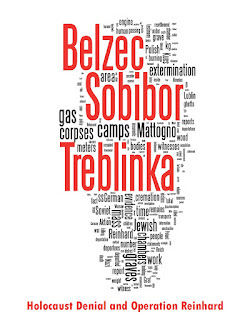 NMT, I, pp.876-86: http://fcit.usf.edu/HOLOCAUST/resource/DOCUMENT/DocEuth.htm .